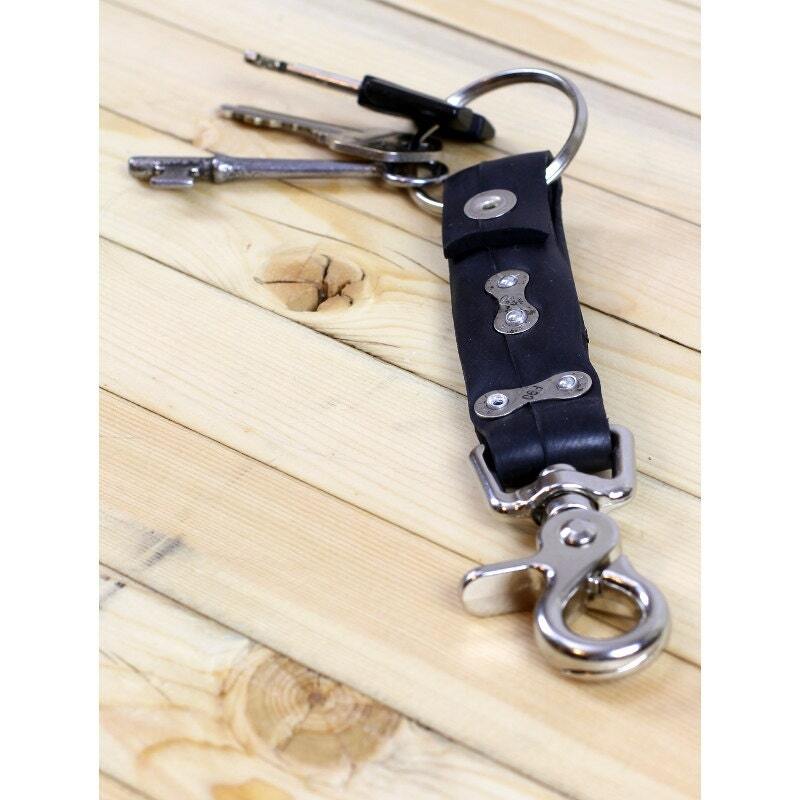 This heavy duty 7 inch long key fob is constructed of 7/8 inch wide Specialized thorn-resistant tube and a strong swivel clasp. 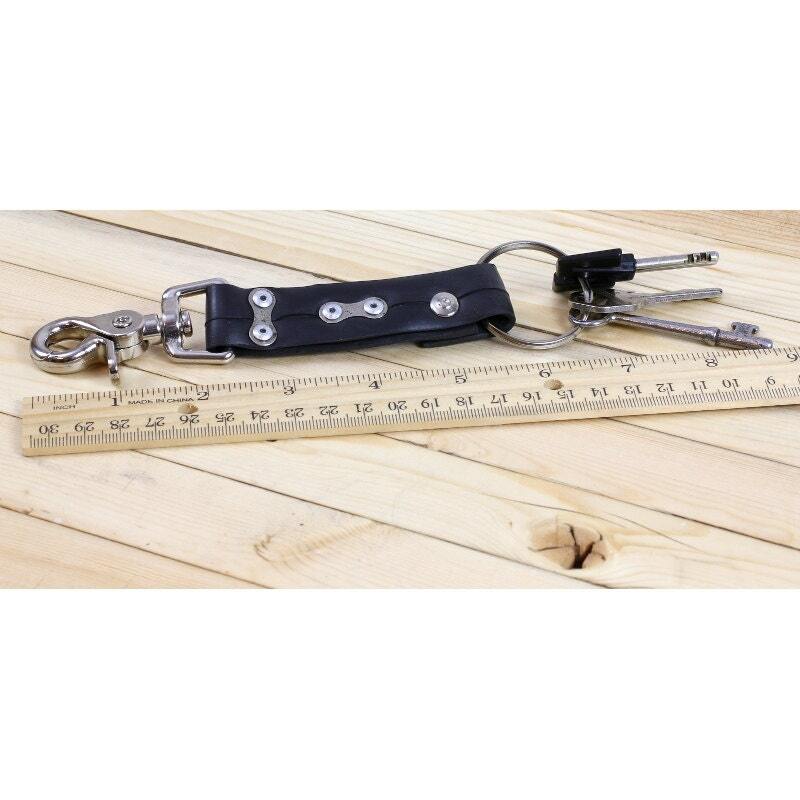 Pop riveted Bell chain links and a silver rivet hold it all together. 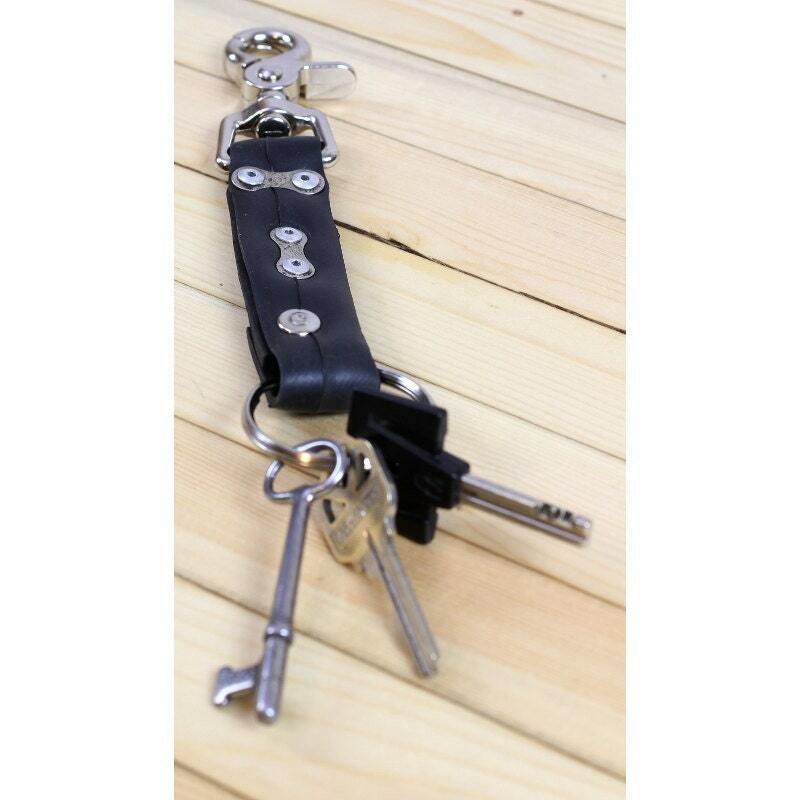 A big 1.5 inch key ring completes the fob. 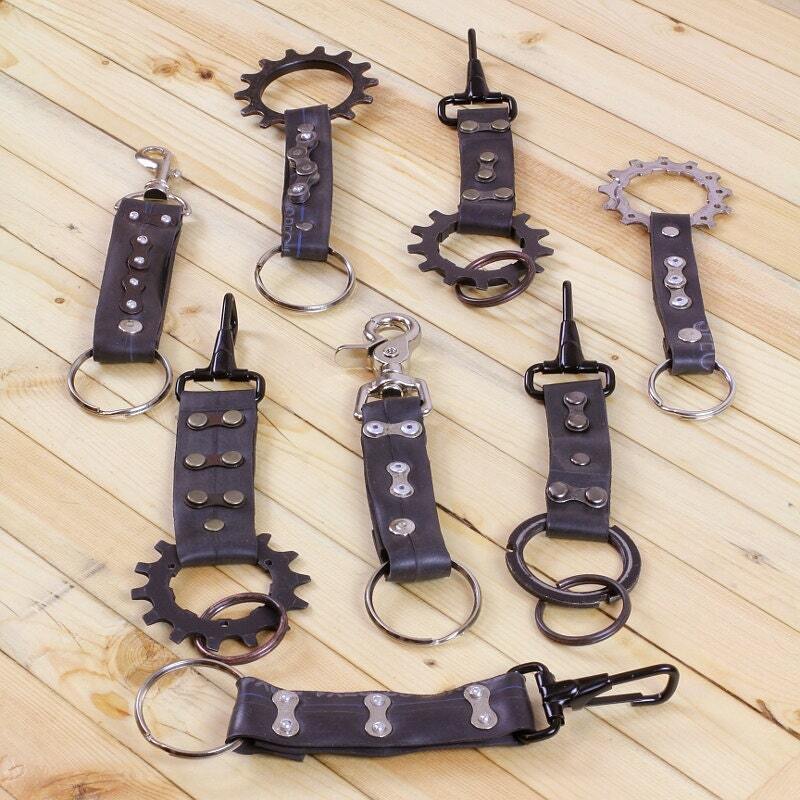 These stylin' handmade key fobs are built one at a time with a love for bikes and a desire for creativity. Every one is unique and different coming together sheerly by the moment's inspiration. Rubber bike tubes are hand-cut along their seams. The edges are sanded for smoothness and rivets are hand-pressed. Tubes, cogs, spacers and chains are recycled so they all have a character of their own. All bicycle parts come from Bicas (Bicycle Inter-community Art and Salvage), the famed bike co-op of Tucson, Az. Contact us for Express/Priority Mail.